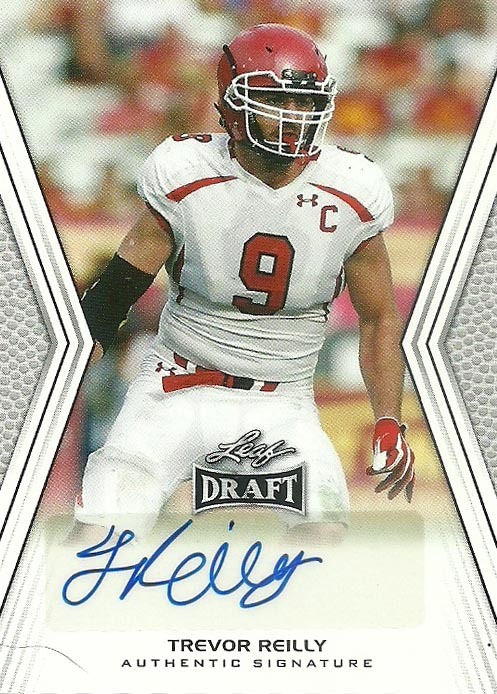 Trevor Reilly played both on the defensive line and at linebacker while in college at Utah. Over his 4 years there he played in 48 games, posting 235 total tackles, 37.5 tackles for loss, 20.5 sacks, 5 pass deflections, 2 interceptions and 5 fumble recoveries. Reilly waited a long time to hear his name called but eventually during the 7th round of the 2014 Draft, the New York Jets called his name. He spent two seasons with the Jets (2014 and 2015) where he suited up for 29 games. During that time he had 19 total tackles, 1 sack, and 1 forced fumble. He’d be released in 2016 and found his way onto the Patriots practice squad. A few months later, Trevor was signed to the active squad of the Dolphins, where he finished out the year. He’d be placed on the team’s practice squad in 2017, but be released early into the season. The Patriots resigned Reilly needing depth at the position. Currently he is a free agent. Outside of that, Trevor is known for two things in the NFL. First he’s completely fluent in Swedish- something he picked up during his missionary time while there in the country. Second, during a game against the Broncos, Reilly accidentally knocked out referee Jeff Rice.